Allow your customers to sign and tip for purchases on a printed receipt. Sign and tip payments must be settled from the Square app within 36 hours of the transaction. Note: At the moment, you’re unable to use sign and tip on printed receipts with contactless (NFC) payments. To use this feature, make sure you’ve connected a printer to your device and have turned on receipt printing in the app. Learn how to connect a receipt printer to an iPad, an iPhone, or an Android device. Note: Sign and tip on printed receipts cannot be used to pre-authorize or verify funds on a payment card. Tap Settings > Signature & Receipt > toggle Collect Signature on > select Always Collect signature > toggle Sign on Printed Receipt on. Choose the receipt format: Traditional or Quick Tip receipts. Note: The Traditional Receipt has a tip, total and signature line, allowing your customers to leave a custom tip amount. With a Quick Tip receipt, customers choose from three tip options by simply checking a box. To automatically print a customer copy of the auth slip, toggle on Print Additional Auth Slip. Go back to Settings > tap Tipping > toggle Collect Tips on. Select either Smart Tip Amounts or Set Percentage Amounts. You can also toggle on Allow Custom Amounts to let your customers write in a custom tip. After 36 hours, all unsettled payments will be automatically settled with a $0 tip. After a payment has been settled, the tip amount can’t be adjusted. Settled sign and tip payments will be included in your next deposit following your deposit schedule. They’ll also appear as completed in your in-app and online sales history and will be included in your Transactions CSV. Note: If you’re using Employee Management, employees can only settle payments they’ve processed by default. Employees with the permission Settle All Payments Awaiting Tip enabled can settle any payment. Tips are attributed to the employee that processed the payment. Tap Transactions. Payments awaiting settlement will have a clock icon. Tap a payment > enter the tip amount. Note: If you’re using Quick Tip, select from the tip options you’ve enabled. If you’re using Traditional Tip, manually enter the tip amount for each payment. Tap Add > Settle $ Total. Tap the credit card icon in the top-left corner. Enter or select the tip amount for each payment. Tap Settle > Confirm Settle. To view payments awaiting settlement, visit Sales > Transactions in your online Square Dashboard. From the banner at the top of the page, you’ll see the total number of unsettled payments. Click View Transactions to see a full list. 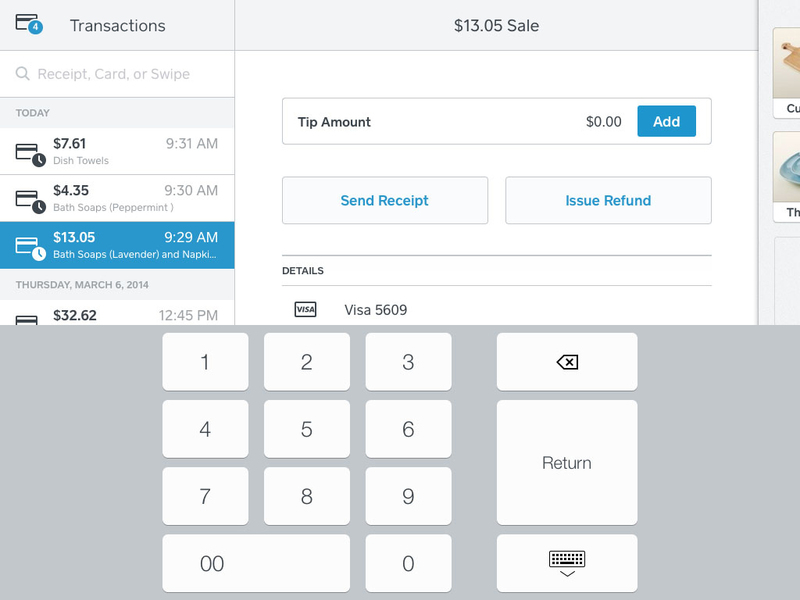 Once you’ve added tips and settled payments, these payments will appear in your Transactions CSV. Note: You can view payments awaiting tips from your online dashboard, but these payments can only be settled from the Square app.